Comparing politics to horse racing is common, but unlike sports, where handicappers plunk down cash on the teams they think will win, political pundits can’t and don’t ‘bet’ on whether such-and-such politician will win their election. There is one outlet that casts aside that professional norm. And that outlet is starting to consider playing the middle. Here are reasons seven why you shouldn’t count out DeSantis. Donald Trump is strong, maybe at his strongest in some time — This may not move a lot of independent voters, but the fact is President Trump is on a winning streak, at least by the current standards by which he’s measured. Beginning with the superficial renegotiation of NAFTA and continuing through the Brett Kavanaugh confirmation hearings and an American pastor being freed from imprisonment in Turkey, POTUS is firing on all cylinders. Meanwhile, the national economy is roaring. 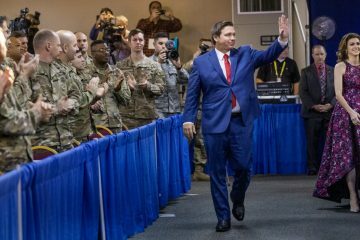 All of this matters in Florida because much of DeSantis’ candidacy is based on his connection to the White House. So if a Trump-in-full tells his base in the Sunshine State to turn out for DeSantis, they’re probably more inclined to do so than if Trump was mired in a slump. As goes Trump, so goes DeSantis. The polls have stabilized for DeSantis — There has been relatively little survey work done in Florida over the last two weeks because of Hurricane Michael. The only public poll conducted since the storm struck the Panhandle is one from St. Pete Polls which shows DeSantis within one point of Gillum, while leading by three points among those who say they have already voted. Before Michael’s intrusion on the campaign, three other polls all showed the race essentially tied. The tied race is a marked improvement for DeSantis since most of the post-primary polling, including a Sept. 20-24 Quinnipiac University survey with Gillum leading DeSantis by 9 points, showed the Tallahassee mayor with an outside-the-margin-of-error lead on his Republican opponent. We hear (but have not seen) that DeSantis’ internal polling has the former congressman up by a couple of points. The down-ballot polls show little indication of a “Blue Wave” — Nationally, the Democrats may ride a Blue Wave into control of the U.S. House and additional governorships, but here in Florida, the polling shows little specific evidence of this phenomenon. 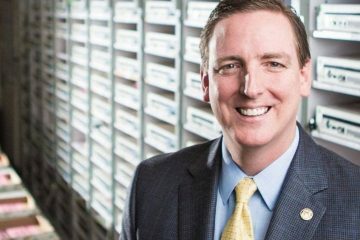 In battleground congressional races in CD 26 and 27, the Republicans are narrowly leading or tied, while in every one of the state Senate seats Democrats are targeting, the Republicans are firmly in the lead (SD 8, SD 22) or tied (SD 18, SD 36). One of the key, but consistently underreported, reasons Republicans win in Florida is the decentralization of their political operations: Rick Scott and DeSantis have their campaigns, but the campaigns of incumbents like Sens. 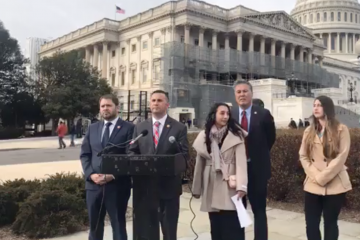 Keith Perry, Dana Young, Jeff Brandes, Manny Diaz, and so many of the House members are, individually, multimillion dollar operations with massive GOTV efforts that swamp whatever the Democrats do. Gillum did not receive a hurricane bump — The fear among Republicans was and is that Gillum would perform so well during Hurricane Michael that the gubernatorial race would all but freeze-up while the mayor emerged from the crisis with haloed poll numbers. So far, that has not occurred. By this weekend, the race should be back at full throttle (Gillum returns to the campaign trail Friday), while the St. Pete Polls survey showed Gillum with only a +13 favorability rating on how he responded to the hurricane (compared to the two-to-one margin Scott received). 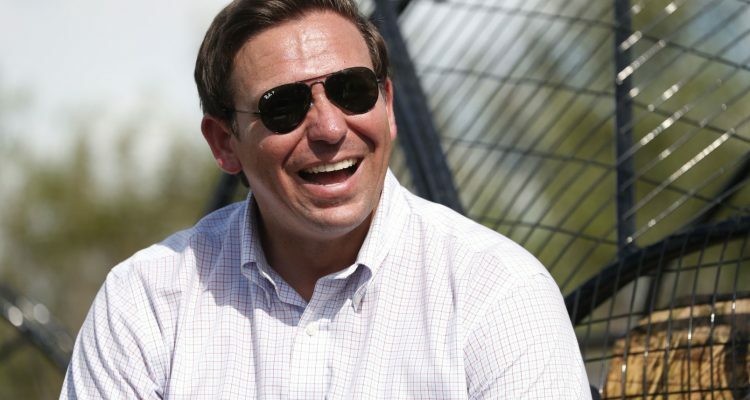 DeSantis has all the money in the world — Cue the narrator from ESPN’s “30 for 30” series … What if I told you a candidate for Florida governor raised $8 million in a week … and the political insiders still thought he couldn’t win? Well, that’s how much money DeSantis raised for his campaign and committee during the first week of October. Ten years ago, that would have been enough money for the entire general election campaign of a statewide candidate, but today, after DeSantis posted those numbers, it seemed to turn heads barely. That’s silly. While other Republican candidates throughout the country are struggling to raise coin, DeSantis has more than enough cash to go balls-to-the-wall for the final two-and-a-half weeks of the campaign. That’s part of the reason why the campaign is still able to hire top operatives and consultants. DeSantis has stopped serving the ball into the net — During the first two weeks of the general election, it seemed like DeSantis was going to double-fault his way to defeat with one unforced, racially charged error after another. And while the damage is done from those blunders, he seems to have stopped stepping on his own d*ck. Undoubtedly, this is why he’s no longer sinking in the polls and can raise vast sums of money. No one wanted to be next to the guy sending out racist dog whistles. It’s obvious that adding Susie Wiles and Sarah Bascom to the team cut down on the number of self-inflicted wounds. 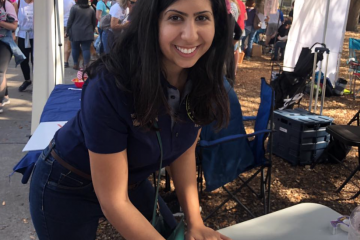 Republicans are doing what they do during early voting — Statewide, Republicans have returned 247,530 vote-by-mail ballots to 207,171 by Democrats, 96,629 by unaffiliated voters and 3,020 by people registered with third parties. Democratic operatives will tell you that, relative to 2014, they’re in better shape now than then, but I have become highly skeptical of early balloting as a predictor. This week, the Florida Democratic Party released a memo touting a 6-point bump in Democratic returns in Sarasota County as well as smaller boosts in Charlotte and Lee counties. However, Democrats outperformed in the mail vote in Sarasota County in 2016, too, and we all remember how that turned out. For Gillum to win, he has to beat the historical trend that Republicans do better in nonpresidential years. In other words, the Democrats have to create much of the environment found in a presidential year. So far, the early balloting does not indicate that. Admittedly, I’ve still got my PredictIt money piled behind Andrew Gillum becoming the next governor of Florida, and most others are betting the chalk, but anyone who thinks betting on DeSantis is a surefire loss could end up looking like Eddie Mush come Election Day.